Union Finance Minister Arun Jaitley, who announced Union Budget 2017 on Wednesday, has granted infrastructure status to affordable housing. The experts opine that this move is a good boost to real estate/property sector. Speaking to International Business Times, India, Joe Verghese, Managing Director, Colliers International India, said that the government’s decision will reduce the housing costs. “Granting infrastructure status to affordable housing is an extremely positive step to provide a boost to affordable housing development as well increasing access to capital at lower costs,” Verghese told IBTimes, India. Granting infrastructure status to affordable housing will provide a boost in volume of construction activity across the country. A good boost to the construction industry that was struggling with reduced number of product launches in real estate in the last couple of years. Capital gains on JDA to be taxed only at product launch, one year tax exemption from notional rental income from unsold inventory and reduction of long term capital gains tax period from three to two years provide respite to investors/ developers of real estate. This helps especially those holding real estate inventory/ stock. This is a great move to providing tax relief to developers in the residential sector where the sales have significantly dropped post demonetisation move, he added. Talking about the government’s other plans, Joe Verghese said, The government has gone back to the basics and taking the required steps to strengthen foundations of livelihood, housing, credit, medical care, cleanliness, vocation training and infrastructure targeting the bottom of the pyramid. Rather than having quick fixes, it seems focused on measures that provide long term benefits to the country. Considering the impetus being given to road infrastructure, manufacturing and affordable housing, the government has put in all the required ingredients to incentivise urban decongestion and the development of new industrial cities around our industrial transport corridors, he added. Ravi Ahuja, Executive Director, Office Services and Investment Sales at Colliers International India, described this as a welcome move. 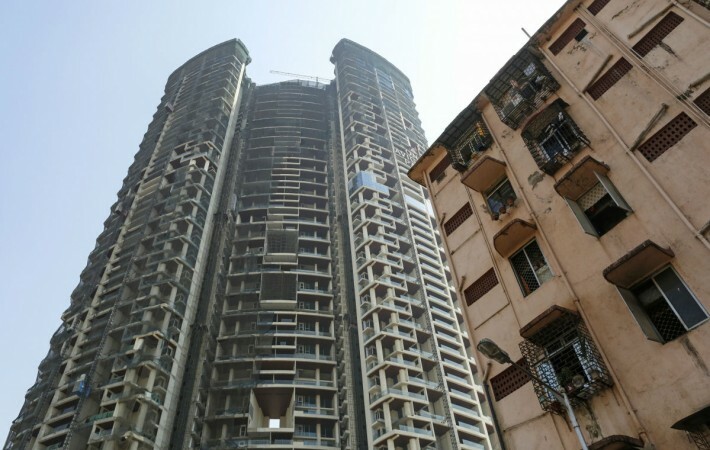 “The announcement of affordable housing being given infrastructure status is a welcome move and will act as a catalyst to meet the objectives of housing to all by 2022, Ahuja told IBTimes, India. Credit offtake towards affordable segment of housing will lead to creation of supply specially for both stake holders the first home buyer and developer who will now have access to cheaper funding. “The government will redefine affordable housing – this is very much required, as we expect the government to make a deliberate decision on defining affordable housing keeping in view the differentiation between Tier 1, 2 and 3 locations / cities across the Indian geographies,” Ahuja added. Ravi Ahuja also lauded the government’s plans for coastal road development. “The 2,000 km of coastal road development proposal in the budget will impact real estate in these locations positively. Mumbai will particularly gain if the scheme provides an expedition to the coastal road proposal. This will also boost industrial real estate in established and newly proposed industrial corridors. DMIC among other more matured industrial corridors newly established may see demand offtake due to this proposed budget measure, Ahuja said. The budget put a lot of required emphasis on grassroots investments in the rural areas. The infrastructure status for affordable housing, tax reliefs for the real estate developers and investors are a great move to provide some relief to the residential sector but not enough to boost demand or sales. Efforts to send the signal that taxes rates would be going down are a positive sign though the same in corporate side should have been for all corporates and not just for the small and medium sizes, he added.